Intrinsic’s technology could disrupt existing approaches to computation. Our silicon oxide (SiOx) memristive devices are the building blocks of an exciting range of new and disruptive technologies – from non-volatile memories to reconfigurable electronics, hardware accelerators and, ultimately, neuromorphic devices that mimic the behaviour of biological neurons. 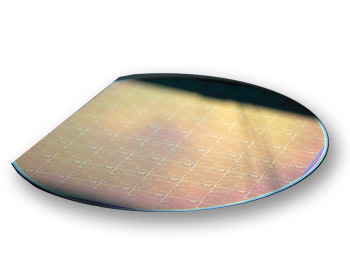 Unlike the majority of other memristive devices, ours are wholly based on silicon and silicon oxide – the essence of modern microelectronics. Unlike the few other silicon-based memristive devices out there, we do not rely on the diffusion of metal during operation, and nor do we require our devices to be operated in a vacuum or hermetically sealed. Our technology is therefore uniquely compatible with existing fabrication methods. Our devices work in everyday environments; they work at high temperatures (up to 270°C); they are resistant to radiation; they even work submerged in water. They are resilient, reliable, and robust. More than all of this, they are supremely adaptable. Silicon oxide (SiOx) is the simplest and most microelectronics-compatible electrical insulator there is. It is a remarkable material that can one minute be a highly stable excellent insulator, the next switching in no more than a few nanoseconds to an electrical conductor when the appropriate electrical stimulus is applied. It can be switched back and forth many, many times – far, far more than conventional Flash memory devices, for example. Not only that, but it is stable in each of its (many) different resistance states until we wish to change it; it requires minuscule amounts of energy to switch; it is happy working at high temperatures. Our devices rely on the formation of nanometre-scale conductive filaments within the SiOx – filaments that can be switched on and off through the application of low voltages (less than 1.5V). We engineer our devices to enable highly stable and repeatable cycling of the filaments. Crucially, unlike other silicon oxide-based RRAM technologies that rely on exposed surfaces to form conductive filaments, our devices form conductive paths within the bulk of the oxide. They are therefore extremely stable in the everyday environment, while alternative technologies must be operated in a vacuum or hermetically sealed. Low power; fast; excellent cycling endurance; long retention times; extreme scalability. High temperature operation; low power. High temperature operation; radiation hardness; excellent cycling endurance. Simple cross-point geometry; low power; fast; tailored precision and accuracy; multi-level operation; excellent endurance. Synaptic plasticity; multi-level operation; response to spike-encoded data; thresholding, integration and spiking behaviours; low power.